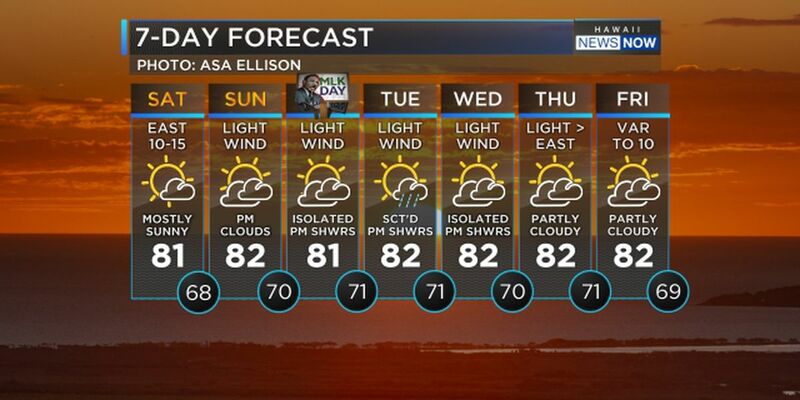 HONOLULU (HawaiiNewsNow) - Trade winds will back off tonight and gradually shift out of the southeast and south across much of the state by Sunday. 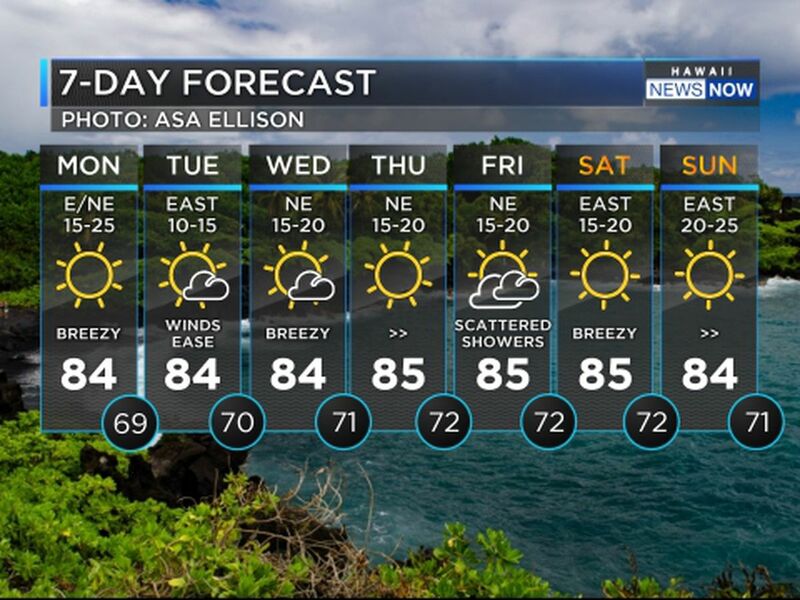 While windward Big Island will likely experience typical shower activity through much of the upcoming week, most of the state will return to a stable land and sea breeze pattern, featuring afternoon clouds and a few showers over island terrain and partial clearing at night. A passing front may enhance shower activity over Kauai late Monday, with another front potentially affecting the area late Thursday or Friday. A moderate and relatively short-period north-northwest swell will gradually decline through the rest of the weekend, followed by a series of overlapping northwest swells next week. The first of these swells will arrive Monday, with surf remaining below advisory levels. The next swell will arrive Tuesday and result in surf well above advisory levels and may reach warning levels for north and west facing shores Tuesday night and Wednesday.